Please contribute generously to support PDA's efforts for peace. We gratefully welcome any donation. 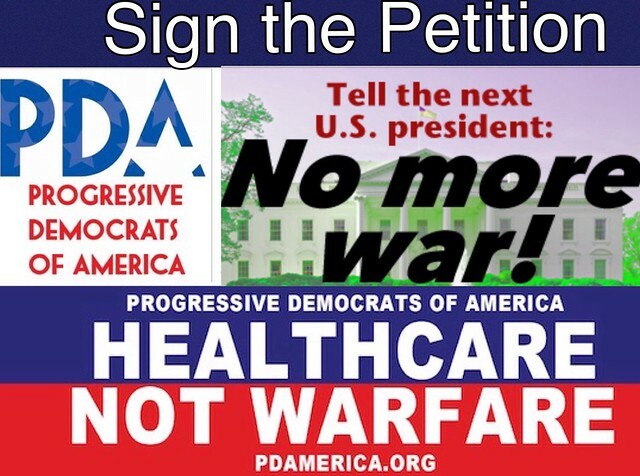 Then, sign the petition for peace, and sign up with Mike "Phone Guy" Fox to make easy but important movement building calls.